Rep. Tom Lantos Washington, D.C.--The National Gay and Lesbian Task Force endorsed a measure yesterday sponsored by Rep. Tom Lantos, Democrat-California, that condemns human rights violations against members of the global gay, lesbian, bisexual and transgendered (GLBT) community. A press conference introducing the resolution is being held at 11 a.m. today at the House of Representatives Press Triangle. "Countries such as Afghanistan, Zimbabwe, Turkey, and others condone abuses such as execution, torture, sexual assault, and imprisonment against members of the GLBT community--often at the hands of state agencies," said NGLTF Executive Director Kerry Lobel. "The time for letting these events go unnoticed and accepted must end." Rep. Lantos' resolution states that Congress "condemns all violations of internationally recognized norms based on the real or perceived sexual orientation or gender identity of an individual." His resolution further states that such violations should be given the same consideration and concern as human rights violations based on other grounds. His resolution commends groups such as Amnesty International, Human Rights Watch, and the International Gay and Lesbian Human Rights Commission for their work in documenting the abuses against individuals worldwide based on sexual orientation. 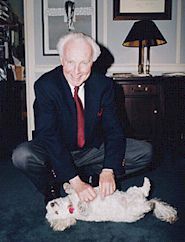 "Every day, men and women around the world are denied basic human rights - such as the protection against torture, extrajudicial execution and sexual assault - on the basis of their real or perceived sexual orientation, and often governments fail to investigate or prosecute human rights violations for this reason," said Rep. Lantos. "Our resolution would put the United States Congress on record against any human rights violations based on sexual orientation or gender identity." "This resolution is an important step toward eliminating human rights violations and violence against members of the worldwide GLBT community," said Blake Cornish, NGLTF federal legislative lawyer. "A recognition and condemnation by the Congress of the United States will send a strong signal to governments and other state agencies worldwide that human rights abuse and violence on the basis of sexual orientation and gender identity will not be tolerated." As of the afternoon of Tuesday, February 29, the measure had 15 co-sponsors.